From Scilla to Charybdis – is our voyage safer now? The genus Charybdis Speta (previously Urginea maritima agg.) was investigated karyologically and genetically throughout its geographic range in the Mediterranean. The different ploidy levels show a strong geographic pattern. Diploid populations are mainly found along the northern coast of Africa with C. pancration extending northwards from Tunisia to southern Italy. Tetraploid populations are most densely distributed in the eastern Mediterranean but are also found in North Africa, on the Balearic and Canary Islands. Hexaploid populations are restricted to the Iberian Peninsula and adjacent Morocco and Algeria. Chloroplast microsatellite data suggest that determination of ploidy levels alone is insufficient to adequately describe the existing populations. Especially the tetraploid and hexaploid populations exhibit additional genetic differentiation and geographic structuring. AFLP data indicate that tetraploid populations from southern Italy are of hybrid origin. 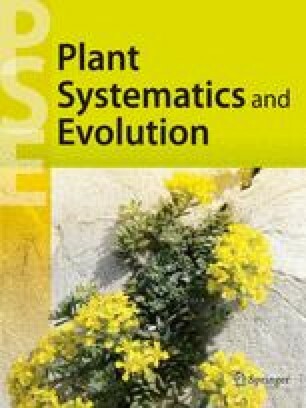 Phylogenetic analysis further revealed that the genera Urginea Steinh. and Charybdis are not directly related to each other but have strong ties to genera from southern Africa. A possible colonization scenario of the Mediterranean via NW Africa and Iberia is discussed.